They are the heavily pregnant women who have fled their own country in fear of their lives and are desperately looking for help when they arrive in the UK. And for those women who find themselves in the Sandwell and West Birmingham area, that help comes in the form of community midwife Pip McKnight. Pip, aged 39, has played a vital role in setting up the Attwood Green Health Centre, where they provide special support to the women and their babies who arrive in the UK as asylum seekers. She said: “Among the asylum seekers are many women in the late stages of pregnancy who’ve had a traumatic experience getting here and who may even have suffered directly from violence along the way. Pip explained why she is interested in these particular mums-to-be: “When I see these women and their babies, I hear their heart-breaking stories. “They tell me how they had to flee their war-torn countries and how their family members have been killed. Her excellent work has led to her being shortlisted for a Royal College of Midwives Award in the Reducing Inequality category. Pip joined the NHS just three years ago as a qualified midwife. She recalled: “Before I became a midwife, I was a youth worker. But then I realised I would like to provide more support to mothers and babies, so I decided to change my career path. It was a great choice and I have never looked back. On a typical day, Pip will run the antenatal and post-natal clinics to ensure mothers and babies are healthy. She also holds educational sessions for parents-to-be who can learn more about how to look after their babies. “It’s a great way to integrate with the community and bring people together”, she added. Pip will be starting a master’s degree in September which will give her the opportunity and skills to carry out research into improving maternity care for newly arrived asylum seekers. So who is Pip’s inspiration? 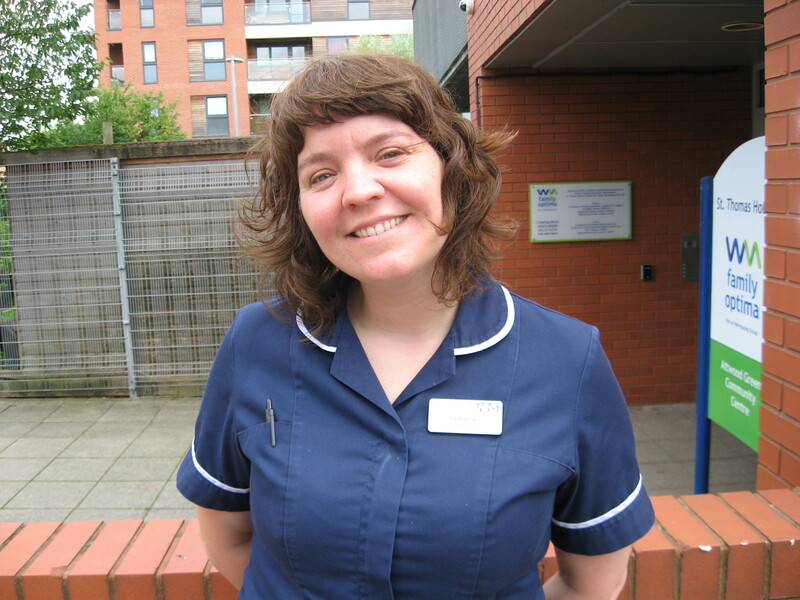 “Kathryn Gutteridge, our consultant midwife, is the reason that I decided to come to Sandwell and West Birmingham Hospitals NHS Trust,” explained Pip, “She lives and breathes a woman-centred approach to midwifery and sets a standard of excellence for all midwives to aspire too.